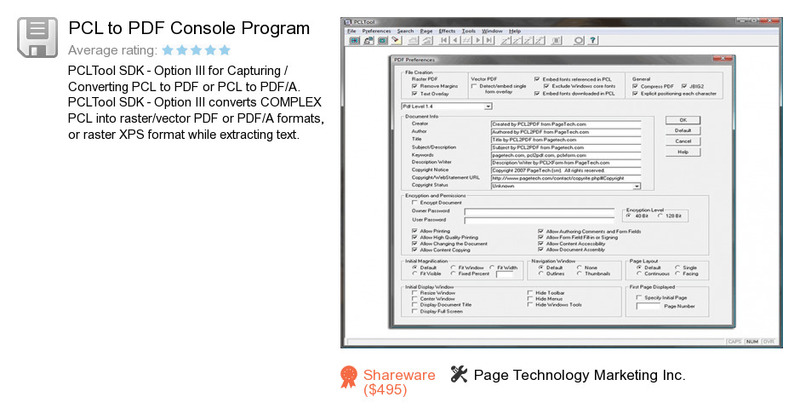 PCL to PDF Console Program is a program developed by Page Technology Marketing Inc.. We know of version 9.0. Version 9.0 is available for free download at our site. PCL to PDF Console Program installation file has a size of 28,847,566 bytes. Page Technology Marketing Inc. also publishes PCLTool SDK.